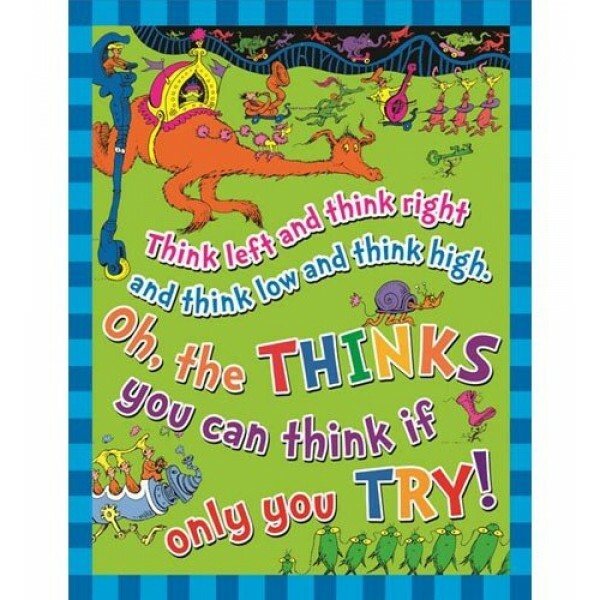 This Dr. Seuss-themed poster on heavy cardstock features the verse: "Think left and think right / think low and think high. 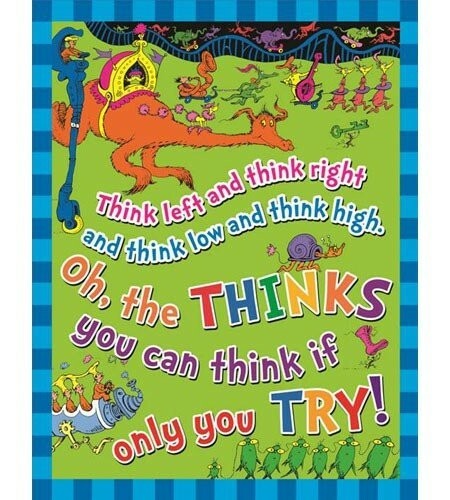 / Oh the thinks you can think if only you try!" 17 by 22 inches.